A limited release from Sixpoint Brewery, Brevity Wit is brewed with ingredients both traditional (coriander and orange peel) and untraditional (chamomile and vanilla beans). And if you look to the back of the can, you’ll also find that the beer comes in at 3.9 pH, a bit more acidic than your average Belgian wit. The beer is indeed tart, but not overly so. There is a burst of citrus on the palate courtesy the orange peel, and the coriander lends a pleasant touch of spice. Those two more untraditional ingredients—the chamomile and vanilla beans—are more subdued, with the soft vanilla coming through in the finish. While Sixpoint has been producing some spectacular hazy IPAs these days, it was this fun blend of old and new that impressed me most this week. East Brother’s Red Lager offers up a “biscuity malt presence” as advertised, but there’s more to it than that. There is caramel, but less than you’ll find in most “red” beers. Surprisingly, there’s a good amount of dark fruit—fig, plum, Concord grape—which is complemented by a touch of citrusy hop bitterness. It’s balanced and medium-bodied, clean and crisp—and perfect for food and fall days to come. Sierra Nevada collaborated with Weihenstephan earlier this year for Braupakt, a Hefeweissbier brewed with American hops. The two have joined forces once again for Sierra Nevada’s Oktoberfest, a collaboration through which Sierra Nevada partners with a different German brewery each year (Brauhaus Riegele in 2015, Mahrs Bräu in 2016 and Brauhaus Miltenberger in 2017). Rest assured the world’s oldest brewery and one of craft’s most longstanding both know something of the style. This year’s Oktoberfest offers a rich malt character, with the lightest touch of caramel and toasted bread. There’s a leafy, herbal hop note that calls to mind black tea, with a twist of lemon. It’s remarkably balanced and incredibly refreshing. Enjoy it while it’s here. West Coast stalwart Bear Republic Brewing Co., long known for beers like Racer 5 IPA and Cafe Racer 15, has now released a beer inspired by the Northeast. Thru The Haze is brewed with Citra, Vic Secret and Hallertau Blanc hops, and fermented with the Barbarian yeast that so many are using to produce New England-style IPAs. The brewery’s inaugural hazy IPA doesn’t disappoint, with a big grapefruit punch, followed by orange peel and tangerines. There’s a touch of melon rind as well, but really it’s the grapefruit that dominates this beer’s profile. Stone Brewing Co. wants to make one thing clear about its new 22nd anniversary double IPA: it’s “perfectly filtered.” Dubbed “the no haze double IPA,” Anni-Matter pours with the same clarity you’ve come to expect from Stone these last 22 years. There’s not much to the nose of the beer, but then you’re caught by surprise. The first taste reveals big kiwi, grapefruit and papaya notes. Filtered or unfiltered, it comes across as quite distinctive among many of today’s IPAs. There’s a substantial bitterness and an herbal mintiness on the finish. The fiftieth beer in Avery’s Barrel-Aged Series, Raspberry Truffale is a bourbon-barrel-aged stout brewed with chocolate and fresh raspberries. Like Plank’d, one of our Six to Seek selections from June, Raspberry Truffale manages to be both big and balanced. The raspberry and chocolate are both discernable on the nose, and the two ingredients are equally balanced on the palate. The raspberry never veers toward artifical or cloying, but instead feels fresh and bright amid a stream of milk chocolate. The bourbon is there, too, but it’s much more subtle than other offerings from Avery. A trace of nuttiness on the finish calls to mind a PB and (raspberry) J. 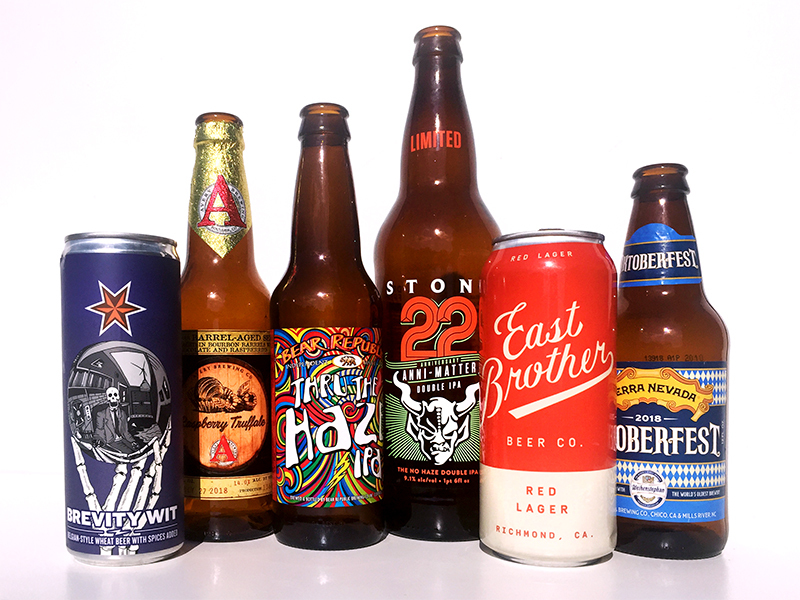 The post Six to Seek: The Best Beers of the Week appeared first on All About Beer.